A limited number of under-30s tickets for £5 are available for this concert. Please enquire in person at the box office. Please note that this performance is now accompanied by Brandenburg Sinfonia using modern instruments. St Martin’s Voices is an exciting and dynamic professional vocal ensemble, primarily made up of talented past and present choral scholars who come together to sing concerts and special events at St Martin-in-the-Fields and beyond. 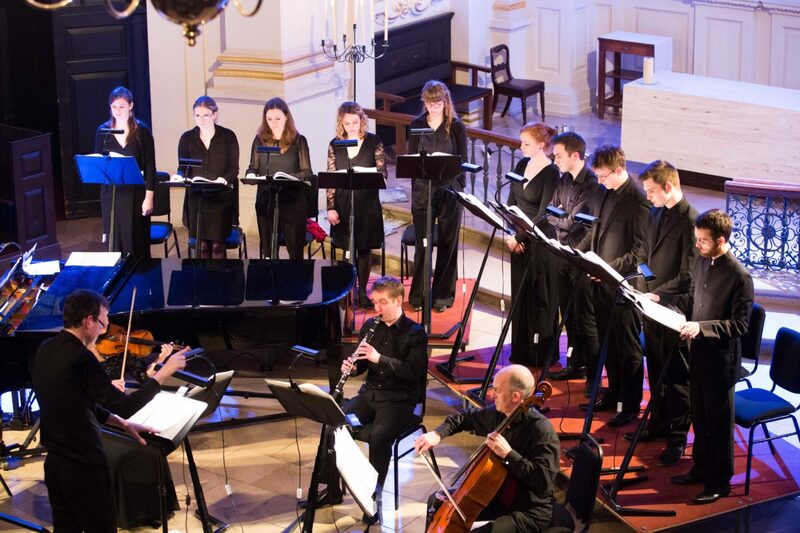 Recent performances have included Mozart Requiem and Vaughan Williams Serenade to Music with the Academy of St Martin in the Fields, and Beethoven Mass in C with Southbank Sinfonia. St Martin’s Voices regularly broadcast on the BBC, including Radio 3 Choral Evensong and BBC Radio 4 Sunday Worship and Daily Service. They also make regular national and international tours, including recent visits to the USA – Minneapolis, Washington DC, New York – and Johannesburg, South Africa.